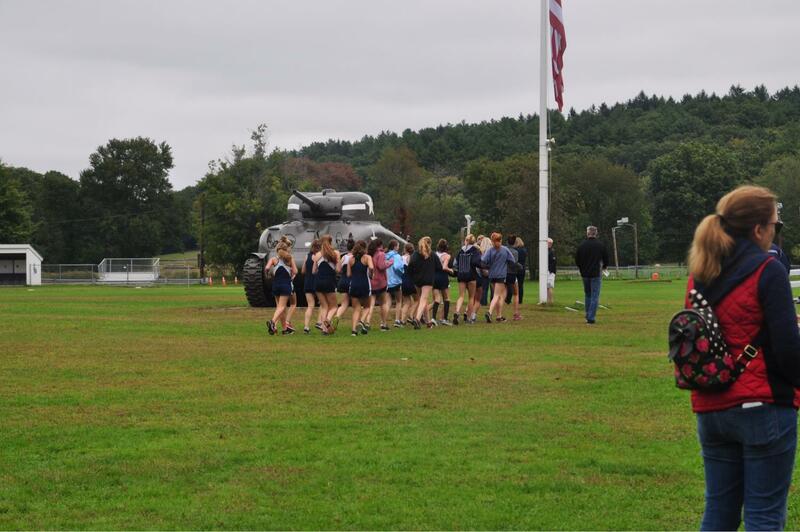 For 14 years the Hamilton-Wenham Girls Cross Country team had maintained their winning streak. Over these triumphant years each group of girls shared the same leader: Coach Steve Sawyer. Although the streak ended recently, against Triton, the same team the streak started with; we looked deeper into what made this streak possible for so long. We found Coach Sawyer’s attitude and skills to be vital to the spirit and success of all his teams. Cross Country, an alternative to racing on a road or track, has become a very popular sport over the years. Usually in high school Cross Country—nick-named “XC”—meets are around 3.1 miles long, also known as a 5k. The race brings runners along rural areas with different terrains that could be up or downhill. The runners recieve points towards for their team, depending on the place they finish in, and the team with the least amount of points wins. The first place runner will score one point and so on; therefore, the competition between the runners is intense. The one constant over these successful years has been Coach Sawyer. 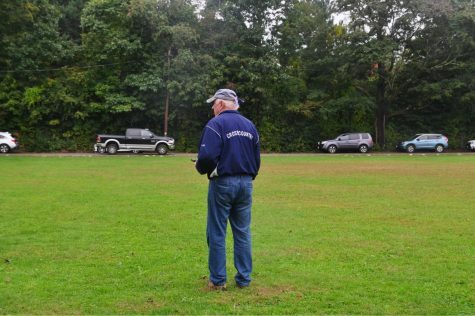 Coach Steve Sawyer returned to the Hamilton-Wenham community in 1969 after graduating from college. He became an advocate for students in and out of school. He taught his own math class and coached for multiple teams including football, baseball, and basketball. Sawyer has always had a passion for running, and as the years continued he brought this passion to Hamilton-Wenham by forming its first Cross Country program. Coach Sawyer has been so impactful to student’s sport and academic lives. And due to his dedication to our teams, the track is named after him. Sawyer has always been known for his teaching skills, but being a compassionate runner himself gives him an important understanding of his runners too. He cares about everyone on his team. Genualdo said, “Sawyer will treat students the same way whether you win or lose and that will never change.” One of Sawyer’s most famous quotes is “smile every mile.” This simple quote helps lift the spirits of his team and always lets them know they should be happy and proud of themselves and what they are doing. The girls Cross Country team began their historic fourteen year record midway through their season on October 13, 2004 against Triton. From 2004 to this season the girls team has won over 110 meets and more than 10 championships. Their winning streak lasted fourteen impressive years and they had been coached by Sawyer the whole time. This year’s captains are Riley Folger and Maddie Katz. Riley explained to us how captains are selected; through humorous pictures of the past years and a uplifting speech. The captains’ jobs include organizing the team and the team’s events, but Riley feels her positive and welcoming attitude is the best quality she can contribute to her team. ” Riley stated. The loss was never viewed as a setback but as motivation to everyone to push herself even harder.